Relaxed family self drive holiday delivers a journey designed especially for young explorers. Travelling around Iceland with your family is fun and easy. You can rent vehicles of all sizes to suit your family. The south coast has many of the most popular sights in Iceland. This relaxed family self-drive holiday delivers a journey designed especially for those with young explorers. Relax in geothermal pools while the kids splash and play, prepare to encounter valiant Vikings, and hear extraordinary stories of elves and trolls. Be captivated by countless stunning attractions, which, combined with cultural insights, become more than just beautiful landscapes where legends were made. Pick up your rental car at Keflavik airport. If your flight arrives early in the day we recommend you begin your Iceland experience by exploring the Reykjanes peninsula, where you'll find the GeoPark (Gardur, Grindavik, Reykjanesbaer, Sandgerdi and Vogar), Reykjanes continental bridge, Kleifarvatn and hot spring Gunnuhver. An alternative option is to go bird watching at the tip of Reykjanes, take a walk on the beach at Selartangar, go visit the viking museum Vikingaheimar, or the child friendly troll in Skessuhellir cave in Reykjanesbaer. We also recommend taking a dip in the swimming pool in Reykjanesbaer. Overnight stay in Reykjanes. After breakfast at your hotel, drive the south shore route along the Reykjanes Peninsula towards the lowlands of south Iceland. Make a stop at Strandakirkja church, the beautiful beach in Eyrarbakki, and visit Iceland's famous ghosts, elves, and trolls in the Ghost Center in Stokkseyri town. Overnight stay in Hveragerdi area. Begin your day by having breakfast at your hotel. 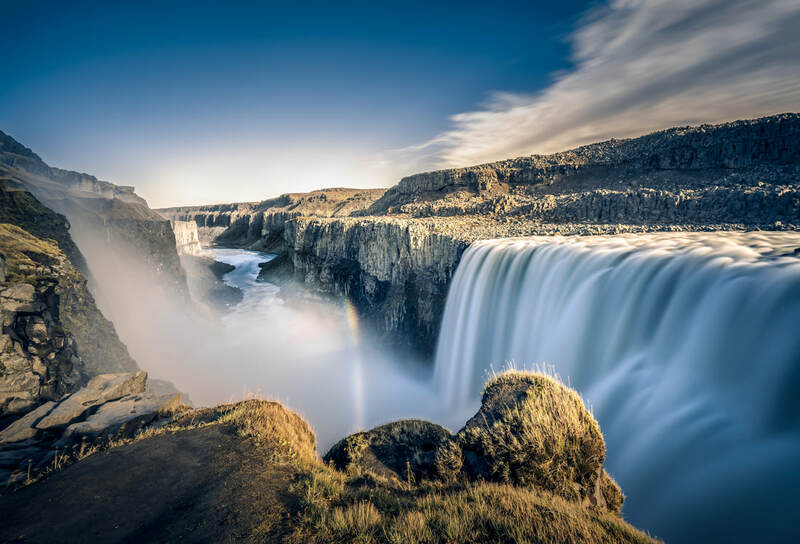 After breakfast, visit the stars of the Golden Circle; Thingvellir National Park, Gullfoss Waterfall, and Geysir Geothermal area, as well as Laugarvatn Fontana geothermal baths and Efsti Dalur farm, where you can enjoy homemade ice-cream while you watch the cows through the cafe windows. Our young explorer suggestion for day 3 is to go swimming at Laugaskard in Hveragerdi town. Overnight stay in Hveragerði area. After breakfast at your hotel, drive to the shimmering icebergs and still, milky waters of Jokulsarlon Glacial Lagoon. This is a fantastic area to capture memories with photographs and enjoy the surreal atmosphere. 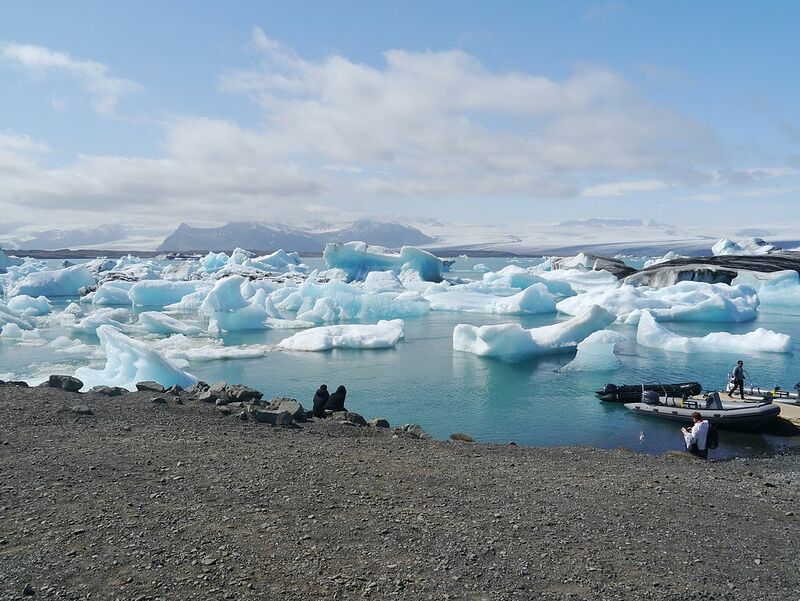 Between May and September, you can also take a boat tour between the drifting icebergs in the lagoon. An interesting stop in the area is the Thorbergssetur Center, dedicated to a beloved Icelandic author. The building resembles a bookshelf with works by the author. The center itself has a nice cafe and good food prepared with local ingredients. Continue eastward, following the magnificent lines of Vatnajökull, the largest glacier in Europe. Your family of explorers might enjoy stopping at Glacier World near Hoffell Glacier. Here your family can take an exciting ATV ride amid glacial scenery and relax afterwards in geothermal hot tubs (Note: children 5 years and under are not allowed on ATVs, a driver‘s license is required to drive an ATV). Another activity families can enjoy during the summer is horseback riding at Arnanes Family Farm (offered between May and September). Overnight stay in Höfn area. After breakfast at your hotel, drive along the south coast back to Vik. Make a stop on the way at Skaftafell, a beautiful glacier ringed green oasis within Vatnajokull National Park. There are many great hiking trails here, including a short hike to Svartifoss waterfall surrounded by beautiful columnar basalt. If you have children 10 years and older, you can try hiking on a glacier. This is an amazing experience, and your family will also learn lots of interesting facts about glaciers. You might also visit Hólmur, a farm that has a collection of farm animals children can meet. In the farm zoo you can see sheep, horses, calves, goats, a pig, cats, many different rabbit breeds, Icelandic Viking hen, dwarf hen, silkie hen, pheasants, quail and doves, goose and ducks. Many of these animals are rare breeds that have not changed since the days of the Vikings. Overnight stay in Vík area. Enjoy the beautiful Icelandic countryside with its glaciers and volcanoes as you head back to Reykjavik. Explore Reykjavik with its many outdoor swimming pools, visit Whales of Iceland museum, or perhaps spend the day relaxing at Nautholsvik Geothermal beach. For those travelling with younger kids, Husdyragardurinn city park and petting zoo, is a fun place to visit. There you can interact with animals and watch the feeding of the seals. Overnight stay in Reykjavik. Depart with plenty of memories and an adventure that will certainly impress, and entertain your friends and family for years to come. We recommend you depart your hotel no later than three hours before your flight. Car rental return is located at Keflavík International Airport. Please note that the package price is based on 7 x 24-hour rental days starting at the time of rental. 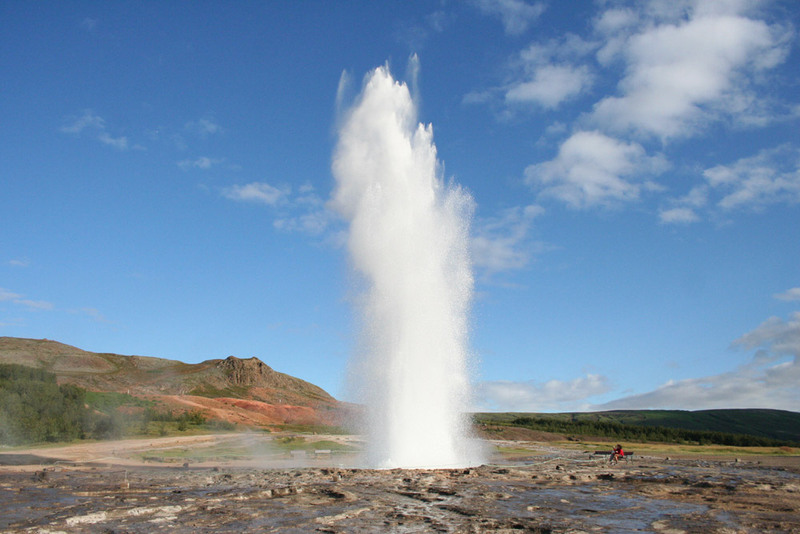 If your flight arrives early on day 1 and departs late on day 7 an additional supplement will be necessary unless you choose to return the car in Reykjavik when the 7-day rental is up and use our flybus departure transfer. Our self drive packages include basic insurance (CDW), unlimited mileage, VAT and airport service.